These are absolutely amazing and easy to make, they also make great holiday treats to give! My mom and I have been making these for years and the are always a big hit with family and friends! Once baking chips are completely melted, take each cracker one by one and dip them in the baking chips, covering the cracker completely. I've found it's easiest to do with a spoon. 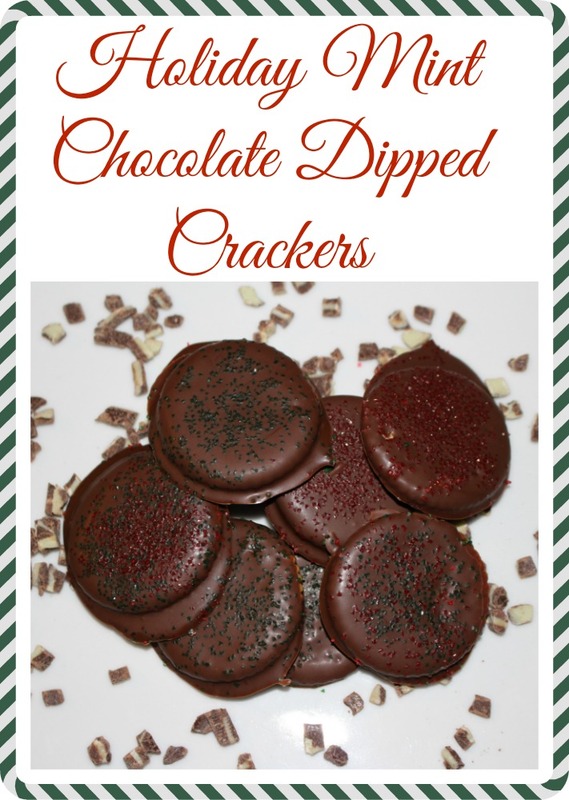 Then place the chocolate covered cracker on a flat tray or baking sheet. Sprinkle with your favorite holiday sprinkles. Once your tray or cookie sheet is full, place it in the fridge or freezer for about 30 minutes until the chocolate hardens. These look yummy and so easy to make. We are having a Christmas party in a couple of weeks and this is going to be perfect to make.